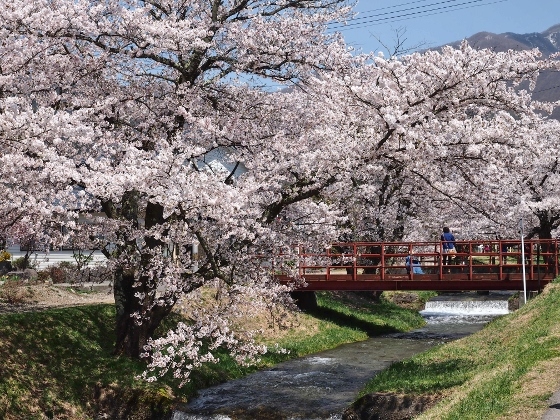 Today, on the way home from Kitakata City I stopped at three different places: an old Aizu clan school Nisshinkan, a new train FruiTea viewpoint, and beautiful cherry blossoms along Kannonji River in Inawashiro Town. 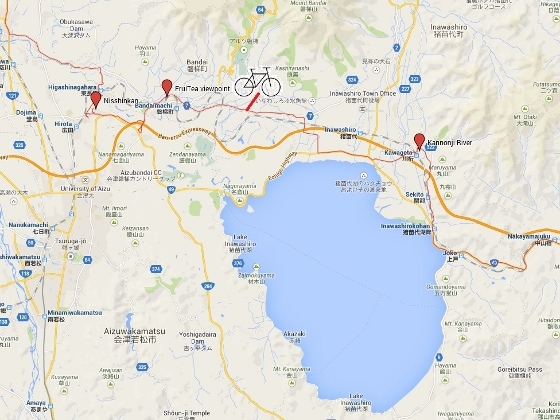 First, I stopped at Nisshinkan in Aizuwakamatsu City. This is an old Aizu clan school established in 1803. 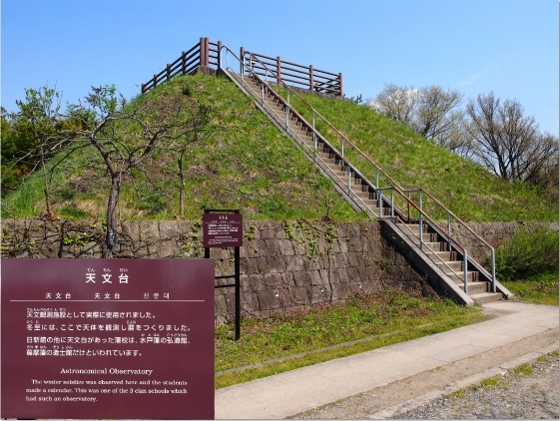 The original school stood beside Tsurugajo Castle. But this had been burned down at Boshin Civil War. The current one was rebuilt afterward to reproduce and commemorate the school. 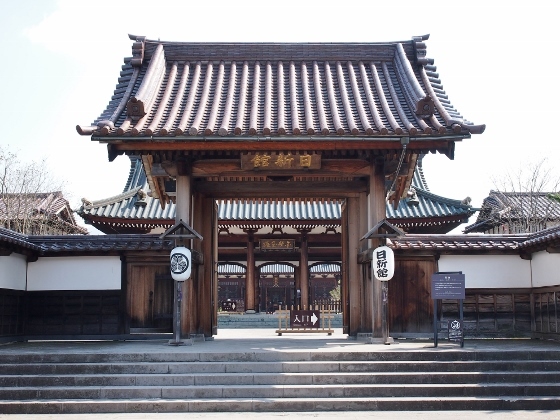 Above photo shows the south gate of Nisshinkan. 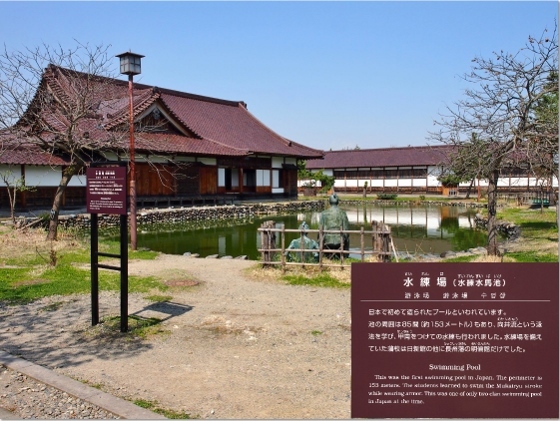 Above photo shows the first swimming pool in Japan. Above photo shows a rare astronomical observatory in those days. Above photo shows a study scene of astronomy in Nisshinkan. 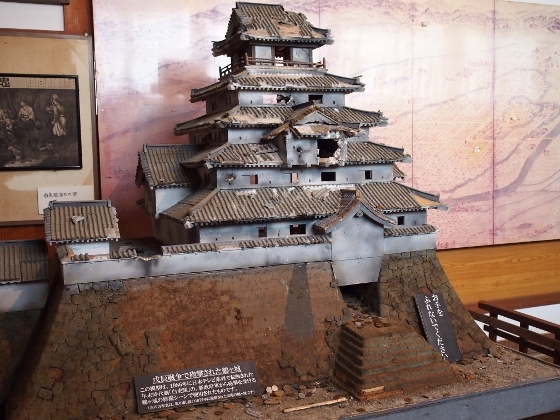 There also was a realistic display of a scale model of the original Tsurugajo Castle damaged badly at Boshin Civil War. 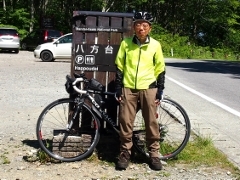 I left Nisshinkan and then stopped at Roadside Station Bandai. There I could see the first FruiTea train bound for Aizuwakamatsu. 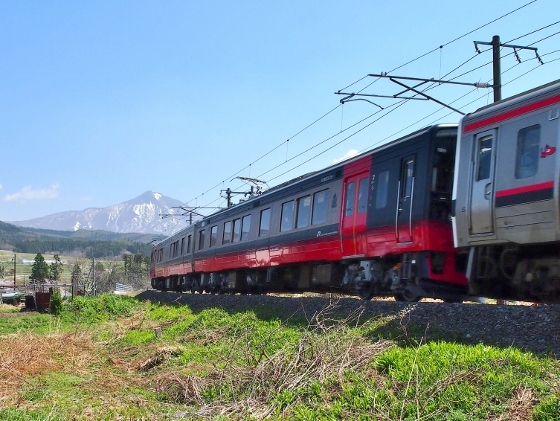 Above photo shows the FruiTea new train cars connected on the back of regular local train. The mountain in the back is Mt. Bandai. My final stop was Kannonji River in Inawashiro Town. 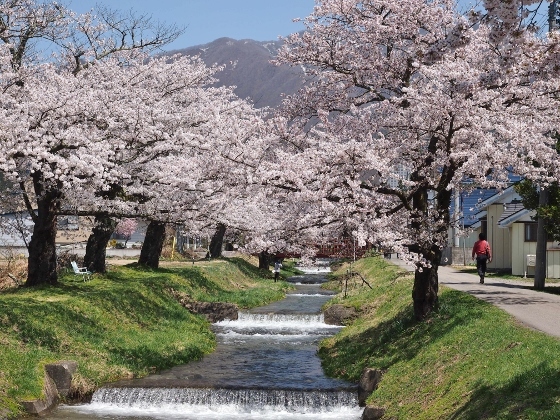 Hundreds of Cherry trees along the river were in full bloom as shown in the above pictures. 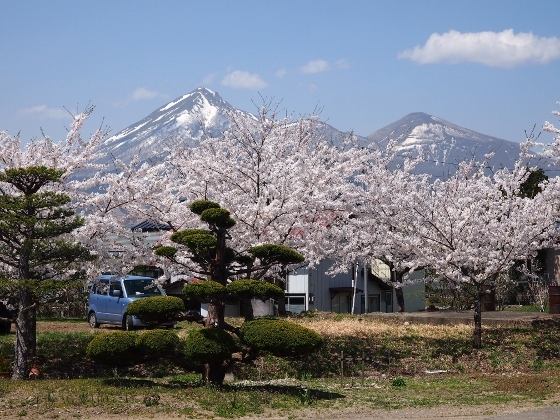 This is one of the most famous places of cherry blossoms in Fukushima.